Posted August 10, 2017 • filed under Research. Can we shape a digital literary form using the world around us? What happens to literature when a reader is mobile and engaged in a narrative both spatially and temporally? How can a writer use ubiquitous computing, available using a smartphone, to situate readers in a literary work? Such questions brought together researchers from three universities in the UK (the University of the West of England, Bath Spa University and the University of Birmingham) to think about the intersections between place, technology and literature. 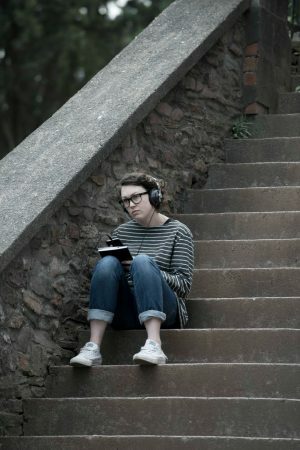 The resulting Ambient Literature project is a two-year AHRC-funded research collaboration investigating the potential of situated literary experiences delivered by pervasive computing platforms, which respond to the presence of a reader to tell stories. Such stories take place both in time and space; the reader is brought into contact with a physical location as part of a narrative. Works of ambient literature can be shared with the reader in different ways, including through text and audio, and the reader is asked to also read situation and context. They may read text on the screen of a smartphone and listen to audio through headphones but also read the physical environment around them, walk along city streets or experience the sights and sounds of a single location. For example, in work resulting from the StoryPlaces project at the University of Southampton. This has both the potential to offer both an immersive literary experience as well as a reframing of the everyday world. The technology used by the Ambient Literature project is often not new. For many years, artists, writers and performers have experimented with locative storytelling and used GPS tracking to tell stories through tagging locations. There is a long history of this type of media and creative production; in arts and performance by artists such as Janet Cardiff, who creates audio walks, the writer Eli Horowitz, who in The Silent History⁠ tagged stories to locations using GPS so the reader had to move between spaces to access story with the use of a smartphone and, working at the intersection between performance and games, Blast Theory , an artist group that uses interactive media to engage audiences. Countless others have explored this terrain and experimented with the idea of the situated participant who engages with a physical location through their movements in time and space. To add to the work of these artists, writers and performers, the Ambient Literature project wants to experiment with how ubiquitous technologies found within smartphones, such as sensors, can be an opportunity to access the data that is all around us to produce literary works. 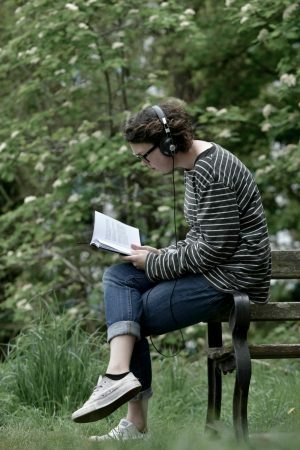 To help us understand what ambient literature might become we have commissioned writing projects from writers Duncan Speakman, James Attlee and Kate Pullinger . The first of our commissioned works, It Must Have Been Dark by Then by Duncan Speakman, launched in May. It is a book and audio experience that uses music, narration and field recordings from three places in the world experiencing rapid human and environmental changes; the swamplands of Louisiana, Latvian villages and the Tunisian Sahara. During this work, the reader is asked to physically seek out, by walking, types of locations in their own environment, such as elements of the natural world and human-made feature, and, in response, are given sounds and stories from remote but related situations. At each location, the reader is invited to make connections between places and, in the process, create a map of both where they are standing and places that may not exist in the future. 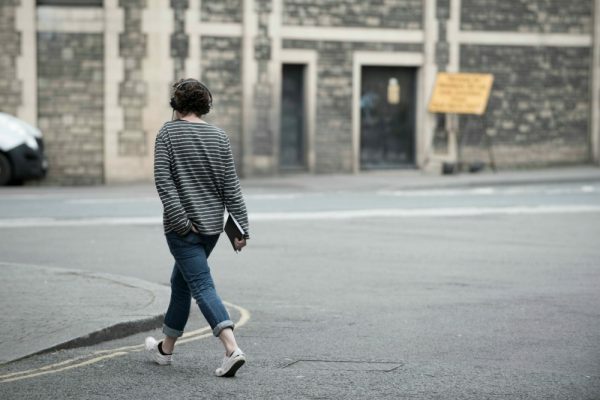 As the reader is encouraged to walk along city streets, there is space around the narrative for interruption, unpredictability and serendipity and this is a potentially exciting feature of ambient literature. A writer is unable to know exactly what a reader will encounter and so must think about their experience. For example, there may be an interruption from a passerby, an unexpected encounter or a strange sight in the physical environment. This experience of being part of a narrative but staying open to these uncontrollable parts of a real-world space can resemble the visual art and performance art practices of participation and improvisation. The reader may be reading a text and listening to audio but, at the same time, they are part of an immersive experience that includes everything around them. It Must Have Been Dark by Then encapsulates this idea. In the experience, a reader is asked to navigate city streets through walking but there are physical boundaries and borders in place. The city controls their movements and they cannot pass entirely freely from one place to the next. There are rivers, commercial and business areas, fenced off areas and unsafe places. You can’t get to certain places and this becomes an interesting metaphor in the work. You experience a work about physical global borders while experiencing the borders in front of you. In ambient literature, as an emerging form with its roots across media and literary production, there are opportunities for writers to play with the physical material of the city to shape a story. Technologies that have become a part of our everyday lives can be used to build narratives that are immersed in places. Through a carefully orchestrated experience, a writer can draw a reader’s attention to different aspects of the environment, highlight what is usually unseen or distract them from the familiar. This involves a re-thinking of what we understand as literary, what we mean by reading and how we can use the technologies all around us to tell stories. You can follow the progress of the Ambient Literature project on our website [www.ambientlit.com] or on twitter @ambientlit. Our second work of ambient literature, The Cartographer’s Confession by James Attlee, will be launched in September followed by our third, Liquid Continent by Kate Pullinger. All images by Mark Lawrence capturing It Must Have Been Dark by Then. Amy Spencer is a post-doctoral research fellow in Ambient Literature at the University of the West of England. She has a PhD from the Centre for Cultural Studies at Goldsmiths College where her thesis, Author, Reader, Text: Collaboration and the Networked Book, focused on collaborative authorship in digital literature. She is a writer of both fiction and non-fiction and is the author of DIY: The Rise of Lo-Fi Culture.